In January and February 2017, GiveWell staff traveled to Kigali, Rwanda; Idjwi Island, Democratic Republic of Congo (DRC); and Nairobi, Kenya to visit top charity the END Fund and 2017 top charity contender Zusha!, a project of the Georgetown University Initiative on Innovation, Development and Evaluation (gui2de). Conversations with representatives of the END Fund, the Rwandan Ministry of Health, and AGW. Observing distribution of deworming treatments to the students of three schools on Idjwi Island. Photos from our visit are here. Our site visit notes can be found here. Meeting with gui2de staff that focus on Zusha!. Meeting with Zusha! Kenya stakeholders: officers from Directline Assurance (a Nairobi-headquartered insurance provider), the Kenya National Transport and Safety Authority (NTSA), and the Kenya police, as well as individual drivers of the public service vehicles that Zusha! campaigns target. Observing stickers being distributed at both Directline Assurance and NTSA vehicle inspection centers. Observing a simulated lottery to select prize winners for the Zusha! campaign. 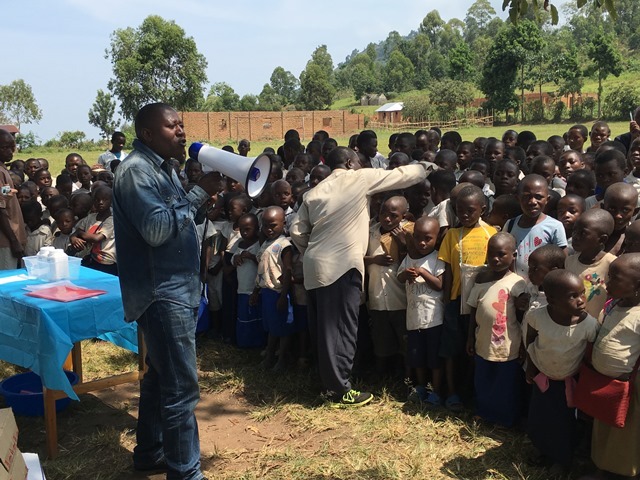 For more information about the END Fund’s financial support to Rwanda and the DRC, see the END Fund’s ‘Updated Program Financing’ sheet of its 2016 End Fund Information for GiveWell.